The recently released survey sponsored by Exitrak LLC, clearly shows some key differences in sale prices for both strategies – we have long favoured securing a strategic exit for business owners as one of the ways most likely to achieve a higher sale value – the survey shows this is the right strategy for most business owners. Importantly, the survey concludes that less than 25 % of completed transactions were strategic sales. Strategic sales outperformed financial sales in the frequency with which the sellers target price was met or exceeded for 58.6 % of the sample. Interestingly strategic sales multiples exceeding those in financial sales by at least 25 % accounted for 53 % of the sample transactions. Our analysis of this survey data concludes that for deals under $5m it is highly likely that a strategic private company sale will yield a higher price ( often a significantly higher one ) than a traditional financial sale. The return more than justifies the investment of time and resources by the ownership / management to build the company into an attractive strategic acquisition candidate. Craig West is a strategic accountant who has over 20 years’ experience advising business owners. His background as a CPA in public practice, provided invaluable experience in the key issues of concern to business owners. Following 6 years of study to gain two masters degrees, Craig focused on Capital Gains Tax (CGT) for business sales advising on strategic management of tax issues. This experience formed a very strong view that business owners (and often their advisers) were unprepared and unaware of the steps required to prepare a business for exit. Craig now acts as a strategic mentor for mid-market business owners and has written four critically acclaimed books on employee incentives, succession planning, asset protection and exit strategies. 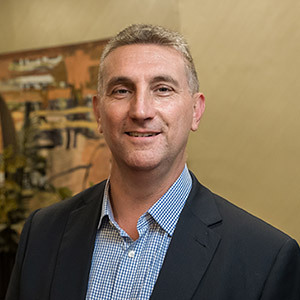 Craig has conducted numerous seminars and keynote presentations throughout Australia & internationally, including adviser education programs for the Institute of Chartered Accountants and CPA Australia.